Why See Milwaukee Ballet - A Midsummer Nights Dream? 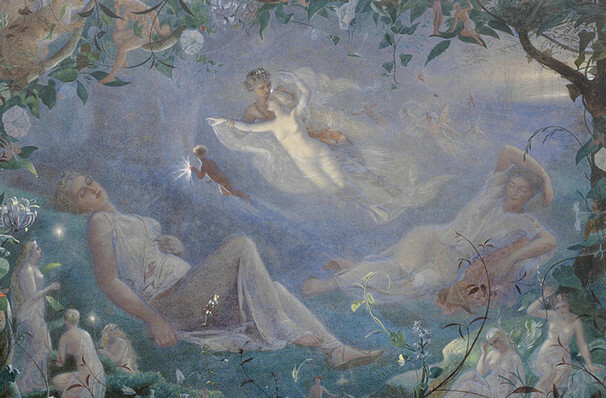 A Midsummer Night's Dream focuses on three parallel stories while dealing with the universal theme of love and its complications. It follows the trials of two couples as they camp in a magical forest, the world of the fairy King and Queen who inhabit said forest and a group of tradesmen attempting to stage a production of 'Pyramus and Thisby' for the wedding of the Duke of Athens. In true Shakespearean style, these stories don't stay separate for long and worlds collide in a spectacularly hilarious fashion. Love, action, magic and comedy mix to create a truly magical spell. Seen Milwaukee Ballet - A Midsummer Nights Dream? Loved it? Hated it? Sound good to you? 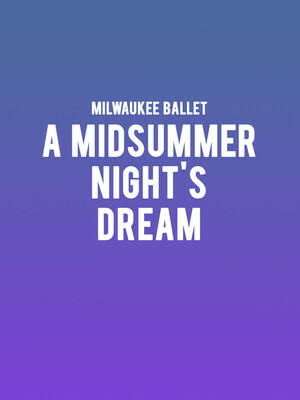 Share this page on social media and let your friends know about Milwaukee Ballet - A Midsummer Nights Dream at Uihlein Hall.